he combustion releases the same amount of CO2 as the quantity absorbed and developed by a tree during the growth and the natural decomposition in a forest. 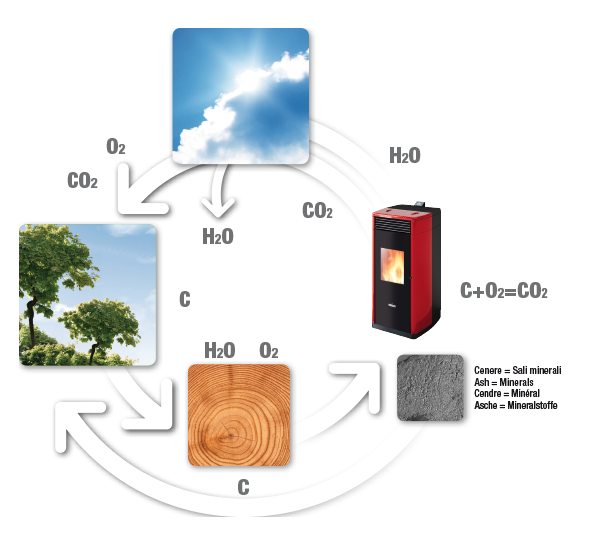 The combustion of pellets, therefore, does not increase the CO2 quantity of the atmosphere. The other important aspect of the pellet is the content of ash: while wood contains bark and various impurities, a good quality pellet has an ash content less than 1% of the total weight.